Wouldn't you love to live a life of abundance? 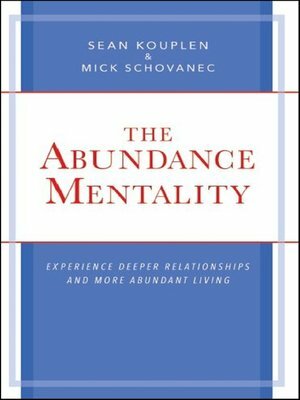 In this brief yet riveting parable, authors Sean Kouplen and Mick Schovanec teach us that changing our beliefs and how we approach relationships will create abundance in our lives. Experience The Abundance Mentality and change your life today!